100% Costa Rican espresso gourmet coffee beans covered in rich creamy dark chocolate. Approximately 285 pieces per pound. One of our most popular products! Allergy Information: Contains: Milk, and Soy Ingredients. This product is produced at a facility producing peanuts, tree nuts, soy, milk and wheat products. May contain tree nuts, peanuts, soy, milk and wheat products. These chocolate covered espresso beans are amazing. I had them delivered the day that I needed them and they came with cooler packs to keep the chocolate from melting. I highly recommend using nutsinbulk.com for anything I need like this in the future. The bridal shower favors were a hit! I thought they were good, not too sweet & not to much extra chocolate covering the bean. Good price & couldn't beat the shipping cost....shipping was quick & ....no loose beans; all in 1 bag, no leaks. I have purchased this item in the past and have been very pleased as is a great pick-me-up at the end of a long day when you wnat something sweet and yet not too sweet. ProsGreat flavor. Comes in a 10lb bag so I don't have to purchase unnecessary packaging. Consif you live in a warm climate ( I live in Virginia) order in the cooler months and stock up before summer. They can not ship during the summer because they might be a melted mess when you get them. Awesome product, in the process of reordering. Bought the dark chocolate espresso beans from this company and they were the best we have ever had! They came in one day, and packed with ice so they arrived in great condition. We would definitely purchase from this company again and especially to buy these espresso beans. My husband doesn't drink coffee but he likes a little pick me up in the morning and these espresso beans do the trick. We've tried a lot of different beans but feel that these have the best chocolate covering. If you like dark chocolate with your coffee, you'll definitely want to give these a try. Great customer service, prompt delivery, and delicious product. Thanks a lot. You can't stop eating these. 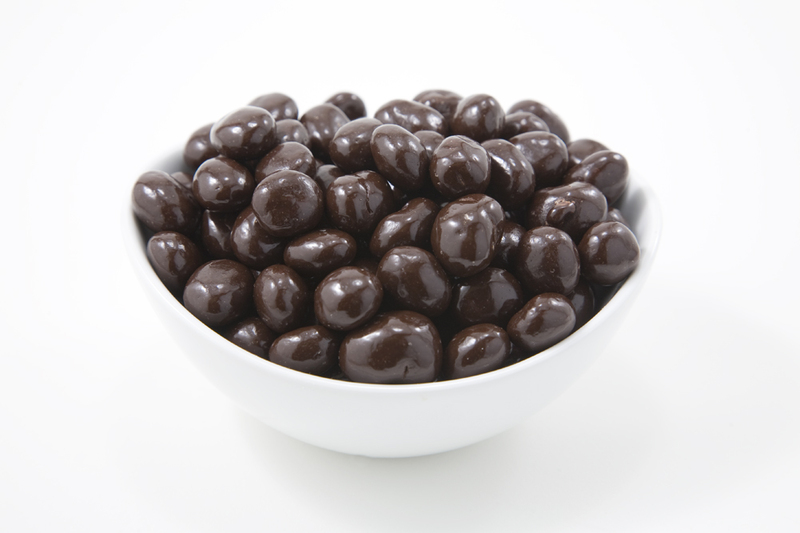 Superior Nut Store's Dark Chocolate Covered Espresso Beans are incredible! You can't stop eating them. The Dark Chocolate coating deliciously melts as you eat them, and the Espresso Beans pop with a rich hearty coffee taste that it is an experience in itself! You won't be disappointed!